"And there I was, staring at my glove as"
* Record Scratcher * "Yes, that's me, Thanos. I bet you're wondering how I got into this crazy situation. Well … "
"We made three designs, all of which were completely different. 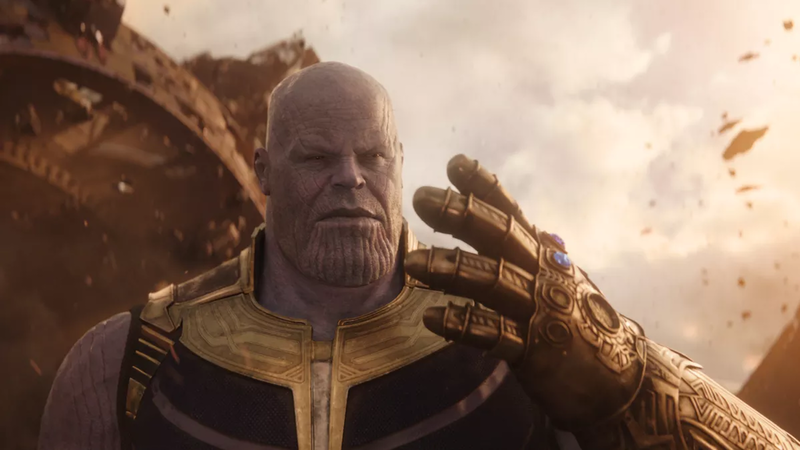 A design involved Thanos as a narrator of the movie. It was non-linear in structure, there were background stories for the Black Order and they were all introduced in very cool sequences. But it was a 250-page script and we thought, "Okay, we can not adjust all the storytelling." "
Figure out how to characterize Thanos was obviously an important issue, the Infinity War had to be resolved, and it certainly is one way to give it the dominant perspective of the film. It would certainly have been an interesting formal step – not many superhero films are told from the perspective of the villain. "Often, when you're working on a movie of this size and end up having a 250-page page, it's the bible for the movie. You get a lot of information. You write characters so that you begin to understand what they want. I think the writing of Thanos' narrative gave us a glimpse of who he was as a character and what we wanted from him. It was so much easier once we pulled all that out to subtextualize it for him as a character and create a more linear structure. " Well, that makes sense. But I'll bet Thanos had made a good, hardened narrator. Maybe with a trench coat. Oh. Someone draws that. For more information, visit our new Instagram @ io9dotcom.